... Mozart, Mendelssohn and a Marvelous soloist! Online sales for this concert are now closed. Limited number of tickets will be available at the door after 7 pm. Please arrive early. 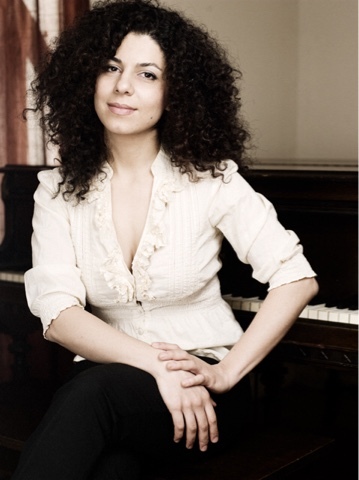 Ms. Melikyan's performances have been broadcast by the National Radio and Television of Spain, National Radio and Television of Armenia, National Radio of Catalonia, Melbourne ABC Classic F M Radio Station, Chicago WFMT Radio station, Mezzo French Television Station, New York WXQR Radio Station. 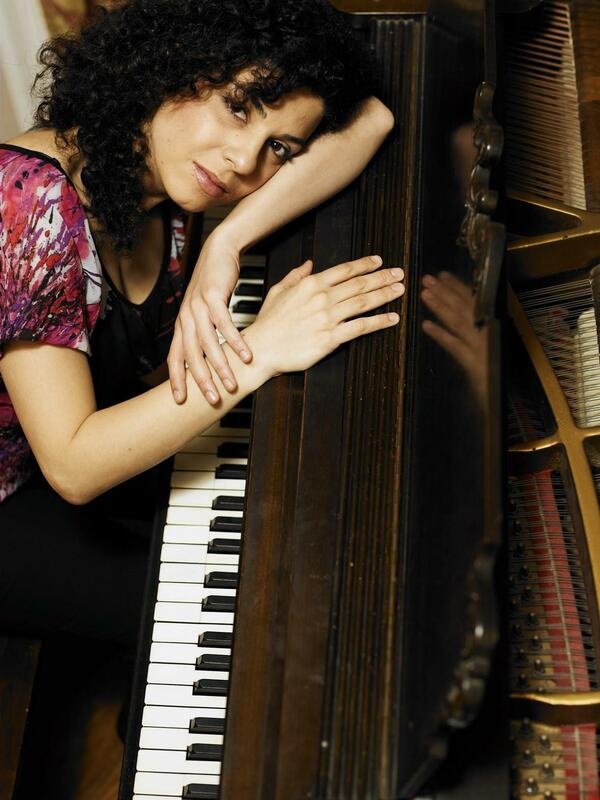 She has also released two CDs featuring music of Haydn, Schumann, Rachmaninoff, Albeniz, Dutilleux and Khachaturian. Mozart wrote six string quartets in late 1772 and early 1773 while in Milan working on his opera Lucio Silla, so they have become known as the Milanese Quartets. He had composed only one previous string quartet, in 1770, resulting in this set receiving numbers 2 to 7. He apparently intended the set to be considered a unified cycle: the first five quartets progress through an overall harmonic scheme based on raising each next home key by four notes (D, G, C, F, B-flat) and this final quartet completes the cycle in E-flat. Like its cousins, the E flat quartet shows the influences the young Mozart absorbed during his stay in Italy, as compared to the quartets he wrote after returning to Salzburg and hearing Haydn’s Opus 17 and 20 quartets. K. 160’s melodies have an Italian aura, and it contains three movements, as was customary in Italy, rather than four as Haydn’s and in Mozart's own subsequent quartets. The first movement Allegro opens with a gently descending melody, which is answered by a more active, rhythmic motive with dotted rhythms and repeated notes. Subtle contrasts propel the movement as extended melodies are re-focused from time to time by changes in articulation. The second movement Un poco adagio starts tentatively, as if checking before entering the room, and once confident that all is well, strolls forward in a stately fashion with dignified dotted rhythms and a steady harmonic pace. The third movement Presto returns to the pleasures of contrast, as in the broad melodic sweep and louder dynamics of the second theme’s response to the opening theme of the movement’s narrower compass. A slowly building crescendo through a sequence of rapid figurations evokes a similar gesture in the first movement, rounding out the quartet and demonstrating again Mozart's Italian influences. Mendelssohn composed his Second Piano Concerto for the Birmingham Festival of 1837 and was premiered there with Mendelssohn himself performing the piano solo. At 28, Mendelssohn was already famous throughout Europe, and was particularly popular in England, where he had been entertained by Queen Victoria and Prince Albert. Considering that he prepared the concerto just after his marriage and honeymoon, its solemn opening may seem surprising; but he had only just emerged, before his marriage, from a deep depression over his beloved father’s death. The concerto lightens and becomes more cheerful as it goes on, however, perhaps a creative reflection of an emotional recovery assisted by the love of his new wife. Mendelssohn normally composed quickly and fluently, but this concerto took him more effort and time than usual. He worked on it from April through September 1837, and there are more working sketches for it than any of his other works for piano and orchestra. He must have wanted to make sure his new composition would be as well received as it was eagerly anticipated by the Birmingham Music Festival organizers and audience. The concerto opens rather atypically, with a quiet, sombre dialogue between the soloist and orchestra, followed by the orchestra’s dramatic announcement of the first theme and a continuing sense of mystery until the second shifts to D minor’s relative key F major. A more tranquil piano coda prepares listeners for a slow second movement in major, a lyrical interlude that dispels any lingering darkness. The Finale is marked Presto scherzando, and here Mendelssohn’s celebrated brilliance shines forth, bringing the concerto to a cheerful, sparkling conclusion. Opus 80 was Mendelssohn’s last major composition, written during the last months of his life, while he was mourning the death of his beloved sister Fanny. When she died in 1847 from a massive stroke Mendelssohon was devastated, and was immediately felled by a stroke of his own. Unable even to attend Fanny’s funeral, he spiraled into depression. Traveling to the Interlaken region of Switzerland, at his wife’s insistence, he tried to recover his health and state of mind by hiking in the mountains, drawing and painting the landscape and composing Opus 80. But Opus 80 is evidence that his stay in Switzerland eased his anguish only on the surface. When he returned to Germany his grief came flooding back; he suffered a second stroke and died at the age of 38. Mendelssohn’s music is much loved for its pristine structures and melodic beauty, but occasionally criticized for emotional restraint. Opus 80 contradicts this impression of his work in the strongest possible way. It is a work of extreme intensity, profound and tragically beautiful from start to finish. The first movement opens with quivering tremolos, a musical embodiment of the shock at hearing of Fanny’s death. Sudden bursts of volume and accentuation contrast with calmer passages as grief and acceptance fight for dominance, until a unison outburst protests her fate and the movement ends, inconsolable. The second movement is not the typically light, playful scherzo for which Mendelssohn is celebrated. Agitated rhythms, fierce, off-balance syncopations, sudden accents and stark unisons argue with Death; and the Trio section consists of an ominous violin duet over a ghostly dance in viola and cello. After the reprise of the scherzo, the ghosts reappear and whisper away in the coda. The Adagio is a nostalgic song without words, recalling piano pieces that Felix and Fanny often dedicated to each other. After beginning as a gentle elegy, it builds to a strident climax of funereal dotted rhythms. The dotted-rhythm funeral procession can still be heard, receding in the distance as the movement ends in soft resignation. Resignation does not last: the final movement is shaken by harsh chords amidst desperately shuddering passagework. Great virtuosity is required to encompass all the technical and emotional content of this tragic conclusion.